Renowned actor Lincoln Palomenque supports and encourages BAKONGO! The Bella Flor Foundation go to Bakongo. We tell you that the foundation selected to take their children to Bakongo 2013 was the Bella Flor Foundation. We are happy that more and more children benefit from our camp. From this year Isaac Guerrero, bakonguiano 2011, is part of the Global Shapers Community, a network of Hubs developed and led by young people who are exceptional in their potential, their achievements and their drive to make a contribution to their communities. Thael Osorio, Miss Cundinamarca and 3rd Princess 2011-2012 of the Colombia National Beauty Pageant, Model and Graphic Designer joined our cause. 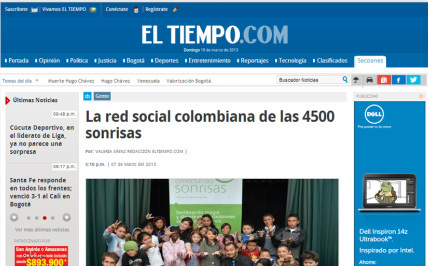 On the 8th of March an article entitled "The Colombian social network of 4500 smiles" was published on the home page of EL TIEMPO.COM. 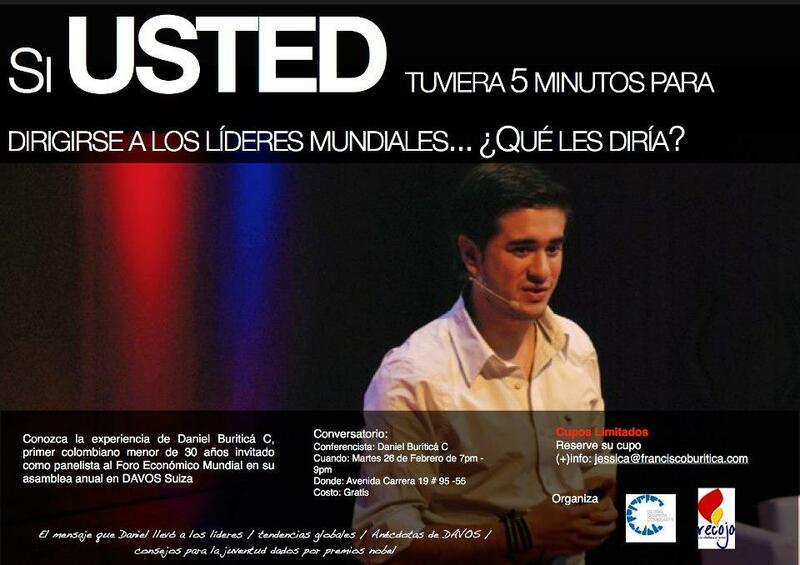 The article tells of the initiative of Carlos López "Mentor". 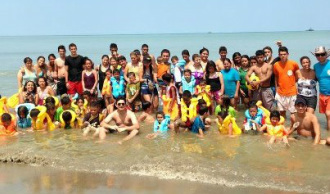 Thanks to the initiative of the foundation Nuestros Chiquis, co-founded by David Gereda bakonguiano - KAI warrior (2011/2012) 52 children from the foundation Breaking Chains, bakonguianitos 2012 met the sea. "Happy having satisfactorily completed our #expedicionalmar2013 and realised the dreams of 52 children who wanted to meet the sea. Special thanks to all those who were part of this dream and helped us through every step of our adventure." 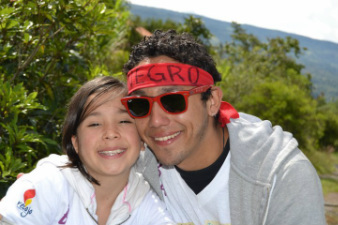 One Young World unites young people from all over the world every year, helping them to building lasting connections with the aim of creating positive change in their countries of origin. Bakongo has it's space in One Young World. 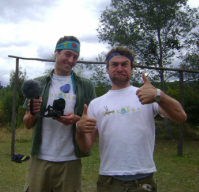 Thanks to George and Tom and their work about Bakongo 2012 we featured in the inauguration video of One Young World 2012.